Click on image for full 2018 photo gallery. Saturday, August 24th at 8 am at Jetties Beach with a 4 mile swim Saturday, August 17th. Join hundreds of swimmers (including Olympians) at a gorgeous venue for a day to remember at the close of the summer season. Choose from 1/4 mile, 1/2 mile, 1 mile, 4 mile, or Kids’ Splash options. Visit Swim Across America for more information. Registration is open now. Sign up as a swimmer, land volunteer, or kayaker or make a donation. To be an event sponsor, to donate other goods/services, or to participate in some other way, please contact event co-chair Jill Roethke or Jim Pignato. All money raised stays on island for cancer treatment and care. A fun and inspiring celebration of those we love fighting cancer and the family, friends, and community who support them. Click HERE to view pictures of all OUR Island Swims. 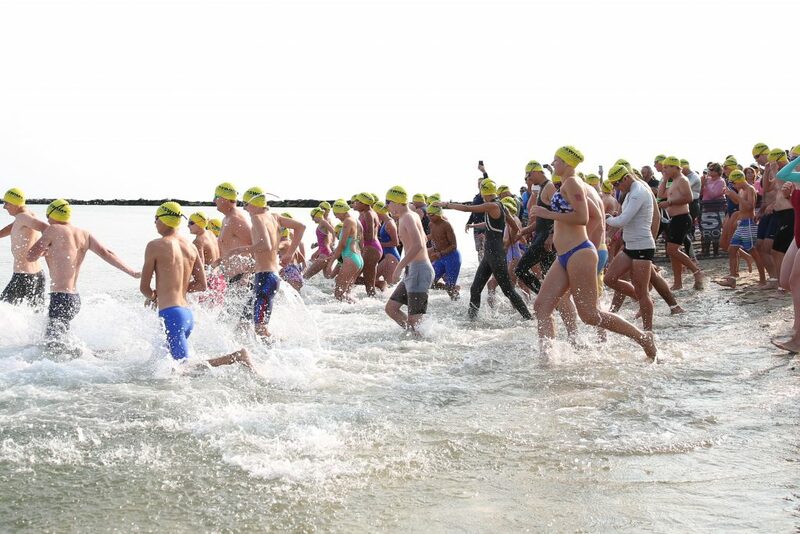 Swim Across America began as a relay swim from Nantucket to Hyannis and has evolved to 18 open water swims and dozens of pool swims around the country. Swim Across America came back to its Nantucket roots for its 25th Anniversary year in 2012 and joined with the Nantucket Triathlon to host a landmark event on Sunday, July 22nd, 2012. 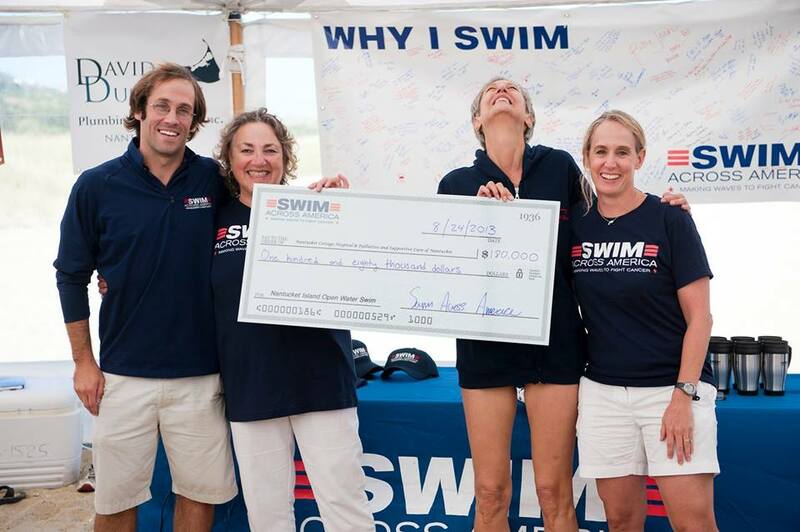 A portion of the proceeds from the swim went to Palliative & Supportive Care of Nantucket (PASCON) and Nantucket Cottage Hospital (NCH). It was such a success and so much fun for all involved that they returned in 2013 for the First Annual Island Swim. It was held on August 24th and raised over $185,000! Nearly all of the proceeds were split between PASCON and NCH. The goal for 2014 was an ambitious $225,000! But they reached their goal with the community’s help. In 2015 they raised the stakes again shooting for $300,000! They did it. They exceeded their goal, raising $325,000! 2016 saw another astonishing increase to $342,000. 2017 closed the books at $402,000. 2018’s final numbers were over $435,000. AMAZING! Nantucket needs this. Nearly all of the money stays on island for cancer care and support services.